IAF found way good moves to provide close air support to the ground troops, by employing precision guided munitions and glide bombs for stand off strike. 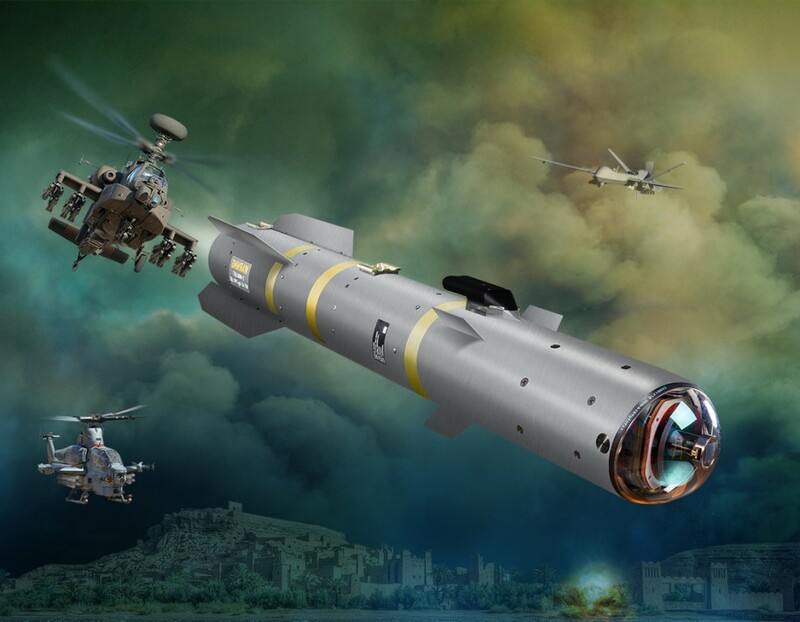 now they looking for anti armour missile for destroying enemy armored vehicles in the battlefield, IAF already signed a contract with US to supply more than 1000 Hell fire missiles, which going to be employed in the Apache gunships. During the Kargil, India found that there is no proper munition to strike the enemy column, They used large amount of dumb bombs, which is not effective, while later they adopted guided muntions which shows good effective. Even they were procured from the west. Since the Indian arsenal comprised by Russian munitions which is not useful in such situation, they were heavy in size however unguided dumb bombs. IAF found that, guided munition is the future and stop producing more dumb bombs, Instead of that they built guidance kit, like GPS guided or Laser guided heads for bombs. which guide the bomb into the target. Here too those PGM - Precision guided munition can strike stationary targets only. like key building and supply dumps. The LGB- Laser guided munition can strike less mobile systems like artillery's and others. For high mobile targets like Tanks and infantry fighting vehicles, one need a guided missile to chase and kill the target. Mostly tanks can travel at the speed of some 40 km as average. It's hard to bomb them with exiting LGB or PGM. So here wee need a anti armour missile to strike such high mobile targets. Nag is the missile who uses the millimeter wave seeker to attack enemy armored vehicles. Just like all other counterparts like Hell fire and Spear. mmW seeker can guide the missile exactly where the tank is and whats it's position. Missiles employed with mmW seekers are highly reliable, however shorter range, due to it's spectrum characteristics. Indian Nag program is running in slow but steady. However they can be employed in Indian made helicopters like LCH and armed Dhruv only. The upcoming Apache's comes with Hell fire missiles, However so far there were no good such missile in fixed wing aircraft. Since IAF's fighters are not have such characteristics to launch such missiles. However one IAF jet can employ anti armour missiles, Recently upgraded Mirage 2000 fighter aircraft is the only IAF fighter can employ such missile. Mirage can carry upto six anti armour missile in two hard points. Those anti armour missiles are less in weight compared to other missiles, they were barely weights some 60 kilo grams. Mirage with multiple ejector rack can hold upto three missile in one port. However IAF didn't have any such missiles for Mirages, Since they plans to use the mirages for launching guided munitions and glide bombs only. Rafale is the only other aircraft can carry anti armour missiles, as French already offered the latest Brimstone missile with the Rafale package. Brimstone comes with dual seeker for high probability of detection it uses laser guidance and mmW for high probability of intercepting fast moving vehicles. Same like how Hell fire missile operates. IAF need large number of such missiles for Rafale. Since the Rafale can carry more payload and higher sortie rates. for better close air support mission IAF may use the Apache helicopters. However in contested airspace IAF need to use the fixed wing aircraft's for aircraft survivability. Since helicopters can be shot downed very easily inside contested airspace. The Rafale comes with better weapon packages like guided munitions, anti armour missiles, and better air to air missiles. The IAF uses the Flankers for stand off strikes. As it's soon to get 100km range glide bombs from Israel. It's better to see, IAF may overcomes from the past issues and now looks formidable force with pretty decent air to ground arsenal too.